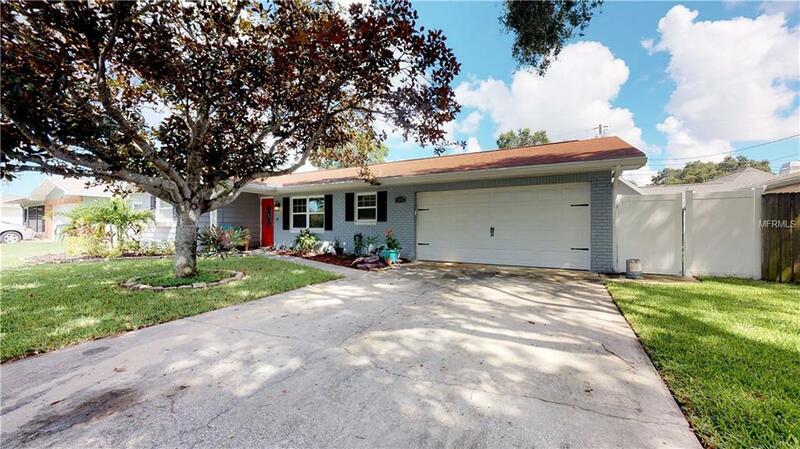 Beautiful 3 bedroom 2 bath home in SEMINOLE. This split floor plan offers plenty of space to relax and entertain friends and family. The kitchen, dining area and family room flow nicely into the large enclosed Florida room. The FENCED back yard has plenty of room to entertain family and friends. SPACIOUS enough to add a pool and outdoor kitchen. This home has everything you are looking for, LARGE bedrooms, Master with en-suite. Recent updates include: HVAC 2018, Roof 2009, Double pane windows, new interior doors, slate tile & an updated Master Bath. Be sure to take a look around the neighborhood, Urban Lake Estates is a great Seminole oasis.